As part of its ten year celebration, the Romanian Film Festival in London announced the inaugural annual Profusion scholarship scheme. The aim of the Profusion scholarship is to contribute to the development of young film makers with a Romanian background. 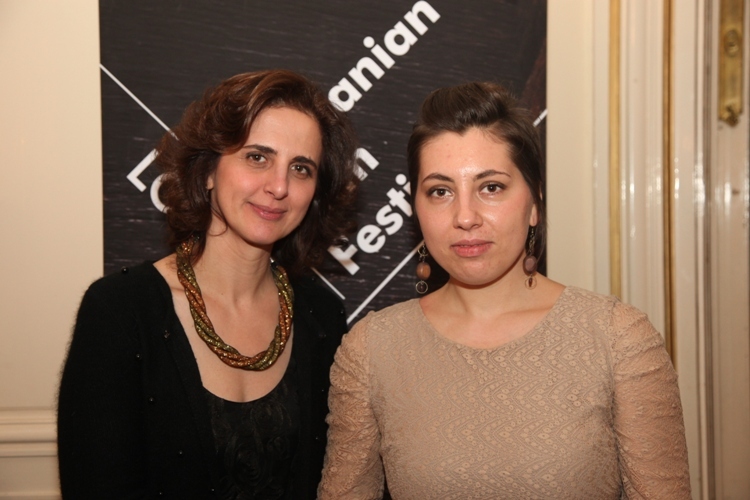 The 2013 scholarship was launched at a special event during the Festival, in the presence of the first recipient: the young Romanian cinematographer Simona Susnea. - a GBP 500 contribution towards Simona Susnea’s tuition fees for the National Film and Television School in London (NFTS), where she is currently enrolled as an MA student. The funds guaranteed by the scholarship covered the cost of travel Bucharest-London-Bucharest, local transport in London, hotel accommodation for one week, per diem, tickets for screenings. The scheme also offers assistance in the fields of fund raising, supervision and mentoring. In 2014 the Profusion scholarship scheme intends to promote films based on the diasporic experience and to encourage the development of young filmmakers growing up in the diaspora. “Taking part in the Romanian Film Festival in London meant a double celebration for me. First, this was my first time in the festival and it happened to be for the 10th year anniversary of the RFF. I was happy to be able to join the audience, the personalities and the Romanian artists celebrating the success and achievements of our cinematography. I believe this is an important event not only because of that, but also because it brings together people from the Romanian community as well. It was a pleasure for me to meet the organising team and to get a glimpse at what it takes to make this happen and bring the films in front of the audience. After experiencing this, I would like the films which I’ll make in the future, after graduation, to be selected and brought in front of the British-Romanian audience. 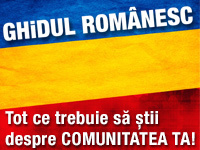 Your space for all things Romanian. The latest Cultural News, up to date Events Diary, exciting Interviews and more. Much more. Join us for a meaningful DIALOGUE. The magazine’s aims are to create a positive image of the community not only for the members of the Romanian diaspora, but also for the UK community at large. Convorbiri creates connections and openings by inspiring and instigating exchanges of information and knowledge. Convorbiri Romanesti este o revista culturala, in format electronic, editata in Marea Britanie de Profusion International. Apare lunar si este dedicata promovarii culturii romane. Editata in limba romana, cu rezumate in limba engleza, Convorbiri contine stiri culturale, interviuri, portrete, povesti de succes, recenzii, corespondente, recomandari. Acest proiect este realizat cu sprijinul Ministerului Afacerilor Externe – Departamentul Politici pentru Relatia cu Romanii de Pretutindeni. Ediția tipărită va fi distribuită la toate punctele de interes ale românilor din Marea Britanie (biserici, consulate, magazine, restaurante, în toate coletele distribuite de Albinuta UK, prin intermediul partenerilor ROMANi ONLiNE, la evenimentele românești, în aeroporturi etc), începând cu luna ianuarie 2014. Acest proiect este realizat cu sprijinul Ministerului Afacerilor Externe – Departamentul Politici pentru Relaţia cu Românii de Pretutindeni. 1970-71 Bucharest’s dark streets were haunted by a ruthless killer with vampire propensities. Vet student Ion Rimaru, tried and shot, was communist Romania’s own Jack the Ripper.